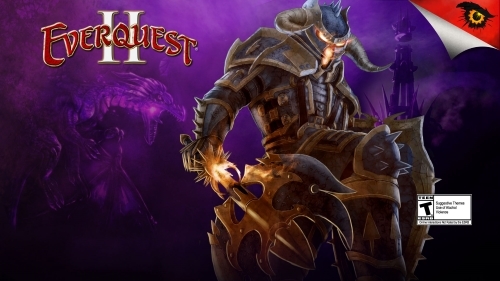 We’ll be streaming from the new Time-Locked expansion server Stormhold on Wednesday, July 22, 2015 starting at 2PM Pacific* on the EverQuest 2 Twitch channel. Join Holly “Windstalker” Longdale, Kyle “Kander” Vallée, Carlos “Gninja” Mora, and Ry “Roshen” Schueller for this stream as we share some behind-the-scenes information on how the Time-Locked Expansion servers came together, and hang out on the Stormhold server. Join us for this stream, and log into Twitch to chat with us and other players. We look forward to talking with YOU during this stream! What do you mean that DBG is confident that the servers will be up by 2PM? The TLE servers launch on 7/21 and the live stream is scheduled for 7/22. Did something change? I was too poor to pay attention to the dates. Thought the livestream was tomorrow too. Darned Real Life, I missed the stream! Could you post the number of characters created on the two TLE servers for people who missed the broadcast? It would be nice to have a neighborhood guess on number of players. I have downloaded the new beta and I have been trying to log in to the server… Repeatedly getting the ” Trying Server 1″ followed by the server is busy, please try again later… Anyone else having the same issue? Suggestions? Tle is live. No need to connect to beta anymore. Question, Ive been trying to get on stormhold, but the server list doesnt show it, no matter what i try. including the directory changes in the step by step posted. any ideas? Thanks! Have you selected US Region?